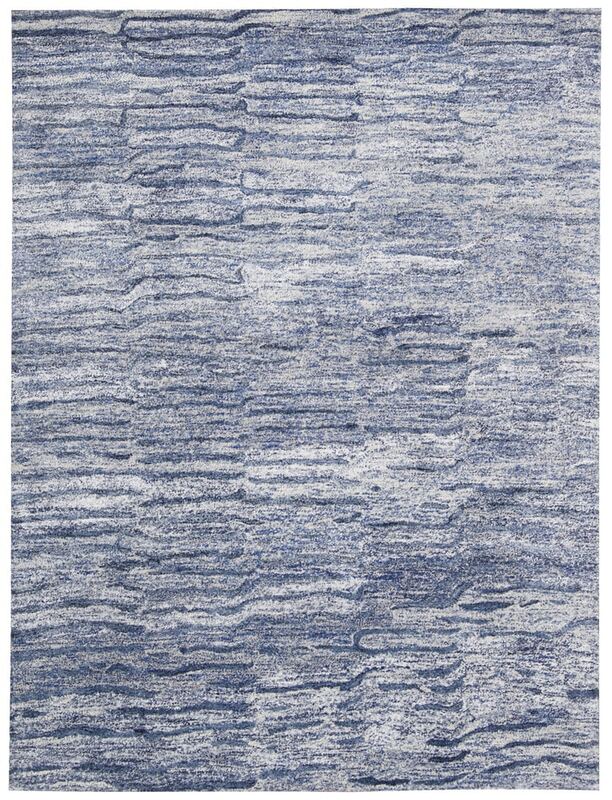 Nourison Nourison Gemstone Lapis Area Rug GEM01 GEM01 / 7'9" x 9'9"
GEM01 / 7'9" x 9'9"
Luster, dimension and sparkling jewel-tones set the stage for the lapidary elegance of Gemstone, a spectacular collection from the artists at Nourison. In shimmering colors and luscious textures, these exquisite rugs play with abstract patterns that hint at Nature’s inspiration. The handcrafted beauty of each imaginative piece makes a statement of contemporary style. Finesse your home with one of these special rugs as the starting point or finishing artistic touch. In a wool blend that enhances the subtle tonal shading. 30% Wool / 70% Luxcelle 2™ • Hand tufted *Luxcelle 2™ is a proprietary viscose fiber made from cellulose and purified cotton. It has been specially developed by Nourison for use as a carpet yarn and has been formulated to have superior strength, a fabulous silk-like sheen, and excellent color retention.